So last week Apple released their third update 8.3 which included lots of updates - mostly bug fixes for built in apps and lots of other updates that no one sees or probably cares about. 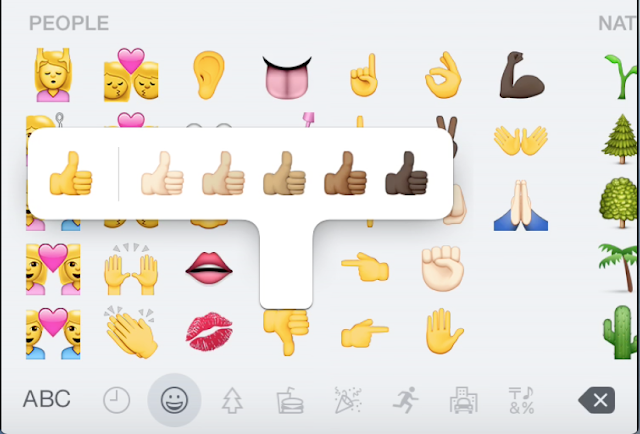 The main visible change was the new emojis. They added more than 300 new emojis including racial variations of certain emojis and lots of new flags. The first change is that there are no longer 'tabs' you can just scroll along and the category will change automatically. I find this much easier to scroll and look for what I want rather than scroll, and then have to choose the next category and then scroll again ... and so on. As you can see when you hold down on an emoji it gives you the option to change the colour - this is available on emojis such as the hand icons (like above) and even the couple emojis - obviously there are lots more but I won't go into detail. 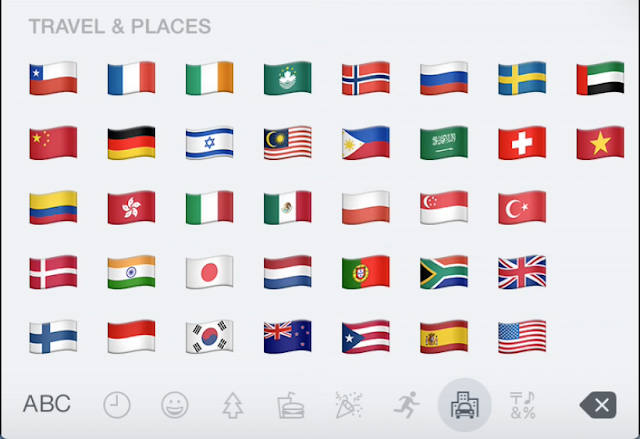 They have also added new flags - I don't really use flags but this is quite cool. I did hear that some people complained that their countries flag hadn't been added. Lots of people are happy that the poo emoji has been added to the list - I never really used it when I used the third party app for emoji. The new update also comes in at around 233MB which is rather small compared to the last updates we received. Everyone will probably recall the horror of the iO.S 8 update when it needed about 5GB of space to install. My phone took about 10 mins to download (on a 100MB connection) and about 20 mins to install. What do you think about the new update? Do you like it or are you not that bothered?